Even though it feels like we just rang in the New Year, a trip to my favorite craft store quickly reminded me that Valentine's Day is almost here! Everyone who follows the blog knows that I don't bake, but I've been perfecting my culinary skills in the art of rice krispy treat making for years. So here is my latest creation in honor of Valentine's Day. 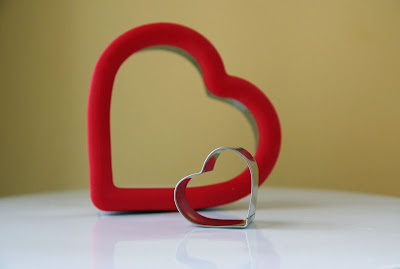 I started by pulling out a couple of heart-shaped cookie cutters - a big one and a little one. I know I've said it before, but this might be the easiest thing I've ever made! Great idea! 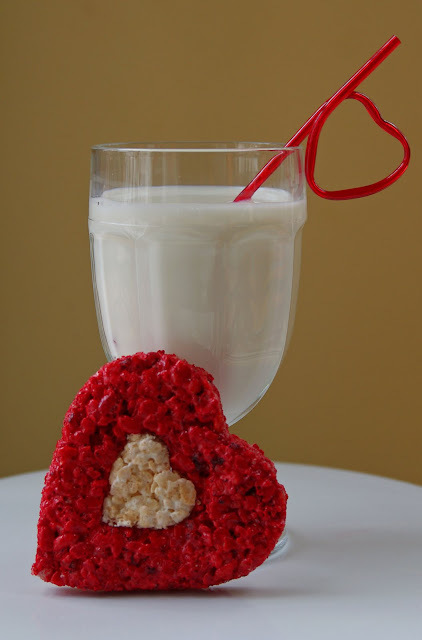 My biggest problem with Rice Crispy treats is my kids eat the box of cereal before I get to making the treats. What a sweet treat. I have a weekly linky Fri-monday and I am also hosting a Valentine contest. Link up your Valentine posts now for a chance to win some great prizes. Hope to see you soon. Saw you today at Someday crafts. Thanks for dropping by and leaving such sweet comments!